Enhance your holiday: Get out of the house & get merry on Christmas day. 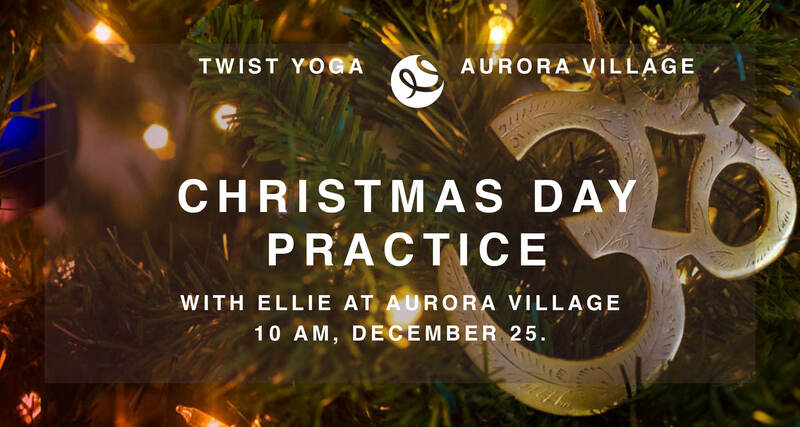 We’ll begin our Christmas Day practice with a grounding meditation designed to soothe the soul & disconnect from the momentum of the season. We’ll then move to vinyasa flow to build heat and work out any tension you may have accumulated leading up to the big day. Finally, we’ll end class with a gentle practice to rejuvenate you for the rest of the day ahead. Exchange: $16/20 Premier members/non members. Add $10 day of class. Cancellation policy: Refunds allowed, with a 15% service charge, up until 14 days prior to workshop. After, no refunds or credits offered, including for failure to attend bath.